Rising levels of greenhouse gas pollution, primarily from burning fossil fuels, are trapping heat in the atmosphere, causing climate changes such as: more frequent heat waves, heavier downpours, rising sea levels, and stronger coastal storms. Low-income communities are often severely impacted because they have fewer resources than most in the area to adapt to such changes. 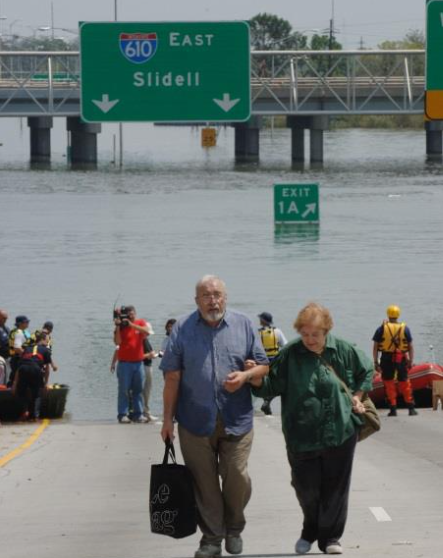 The U.S. Department of Transportation’s (USDOT) policy statement on climate change affirmed that USDOT will address issues of inequality and environmental justice (EJ) associated with climate change impacts and adaptation. Transportation agencies at the Federal, State, and local levels can reduce negative impacts of climate change on low-income populations and minority populations (EJ communities), through stakeholder inclusion, proactive planning, risk mapping, and the careful consideration of community needs in emergency operations procedures.